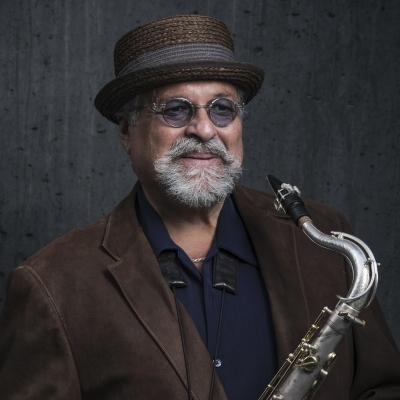 Joe Lovano may be best known for his outstanding tenure at Blue Note Records, which he’s called home since 1991. But he’s also been a vital presence on the German label ECM, founded by renowned producer Manfred Eicher. It’s a relationship that stems back to 1981, when Lovano first appeared on drummer Paul Motian’s album Psalm. He would go on to perform on albums by ECM luminaries like John Abercrombie, Steve Kuhn and Marc Johnson. But to this point, he has never recorded an ECM album under his own name. That will all change on January 25, when ECM releases Trio Tapestry, a new album featuring Lovano in the leader role alongside pianist Marilyn Crispell and drummer Carmen Castaldi. The music is informed by Lovano’s passion for the 12-tone technique, a method of composing that involves using a series of all 12 musical tones to avoid the predominance of a single key. But further influences include Lovano’s love for world music and jazz. Listeners will hear him play a new instrument, the double-reed Hungarian tarogato, and once again he’ll be playing his beloved gongs, which he says allows him to create parallel key centers while improvising.